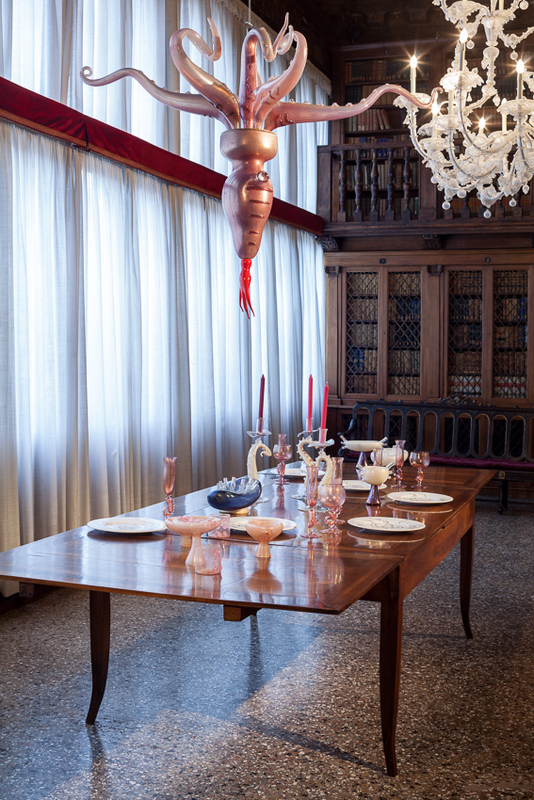 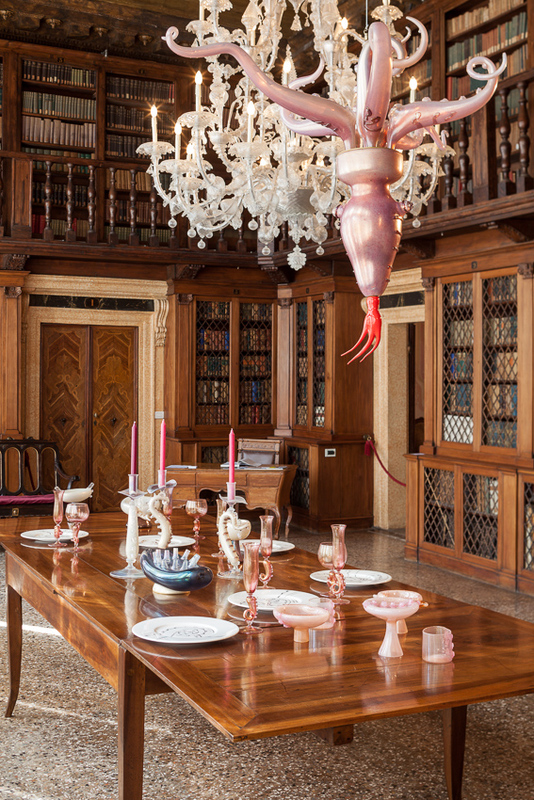 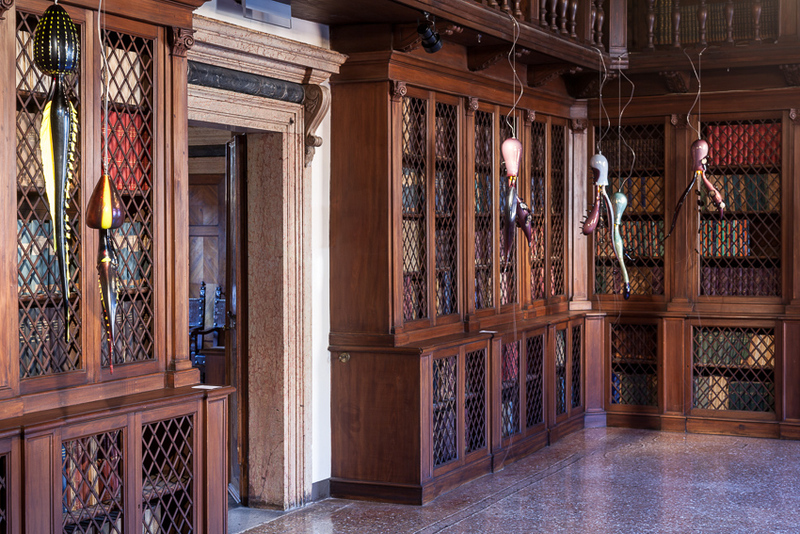 In the enchanting atmosphere of Palazzo Loredan, Caterina Tognon proudly presents the latest artworks from Maria Grazia Rosin: I Boreali 2016, created site-specifically for the Sala delle Collezioni. 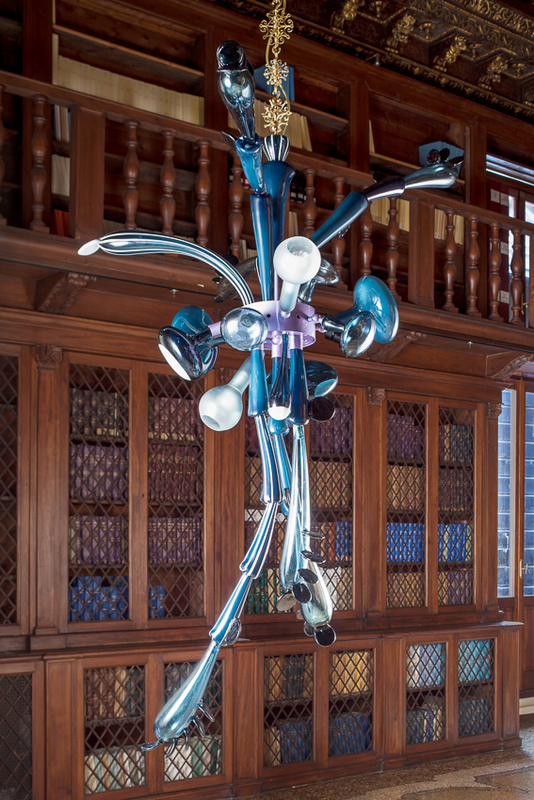 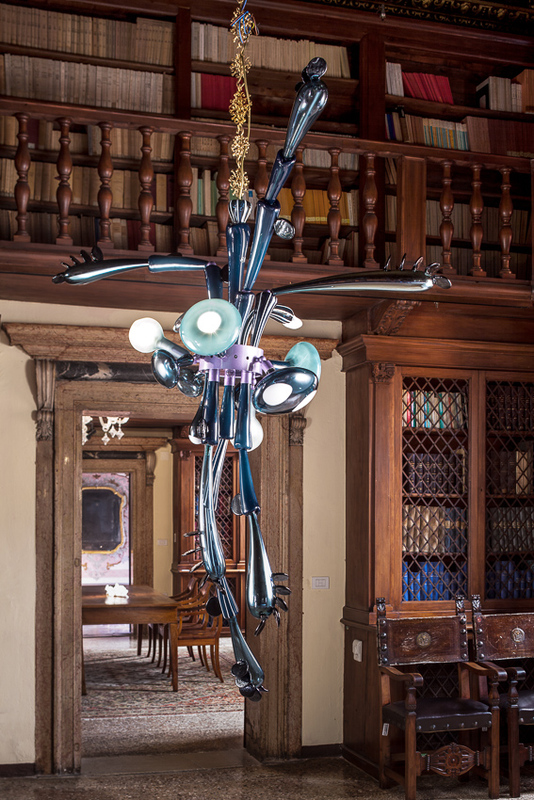 A pair of dark blue suspended luminous sculptures, inspired by phytomorphic organisms whose outstretched arms float lithely in the air, striving for contact with each other. 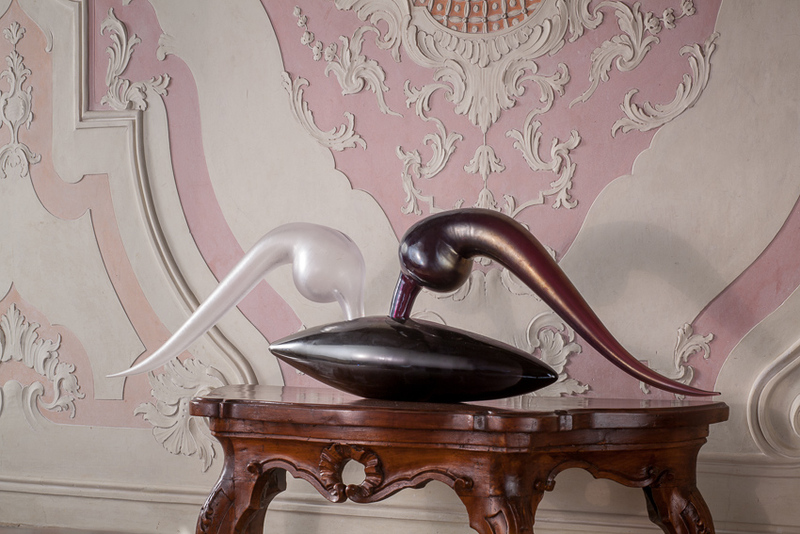 The surface of the glass was subjected to interference processes to create a reflecting satin finish which combines with the work’s opaque, transparent or translucent variances to achieve a mysteriously disquieting effect. 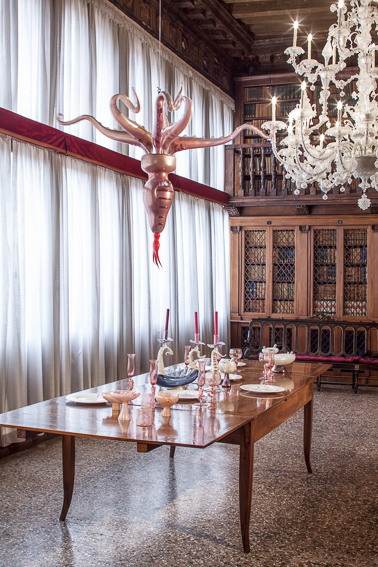 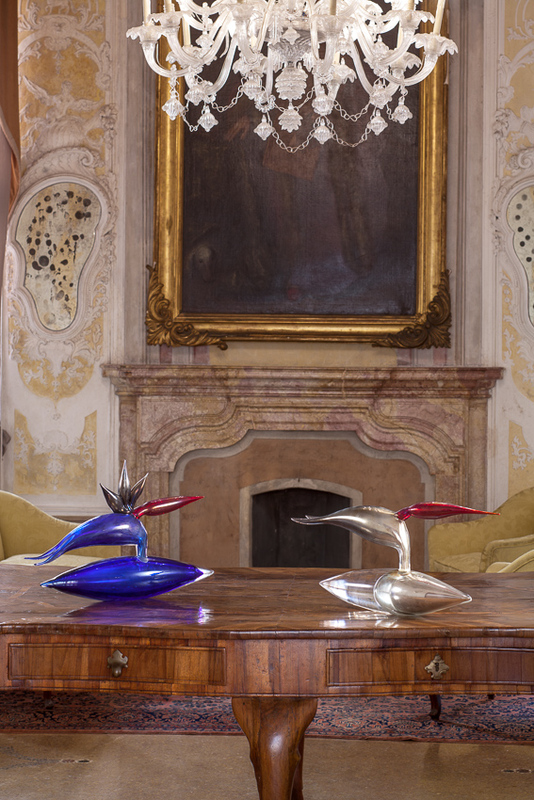 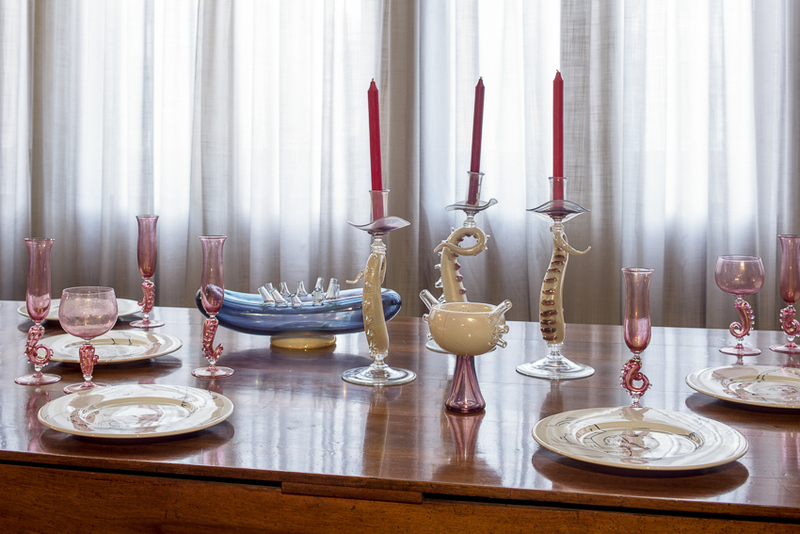 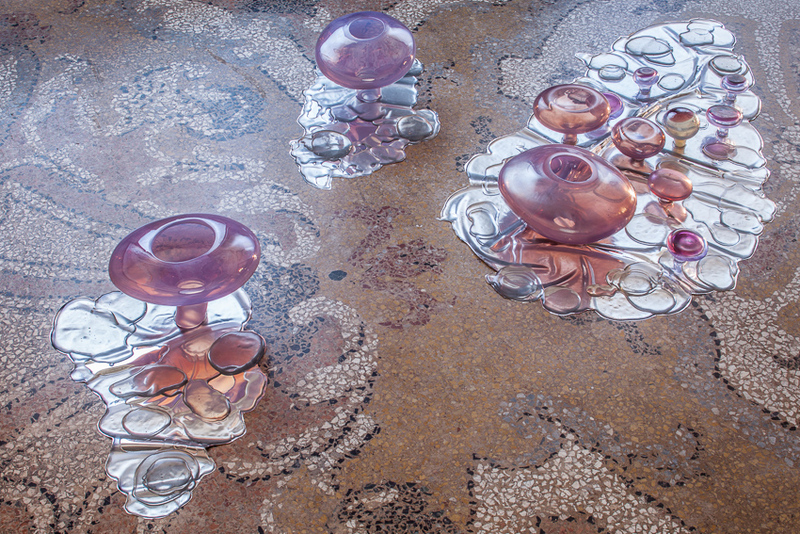 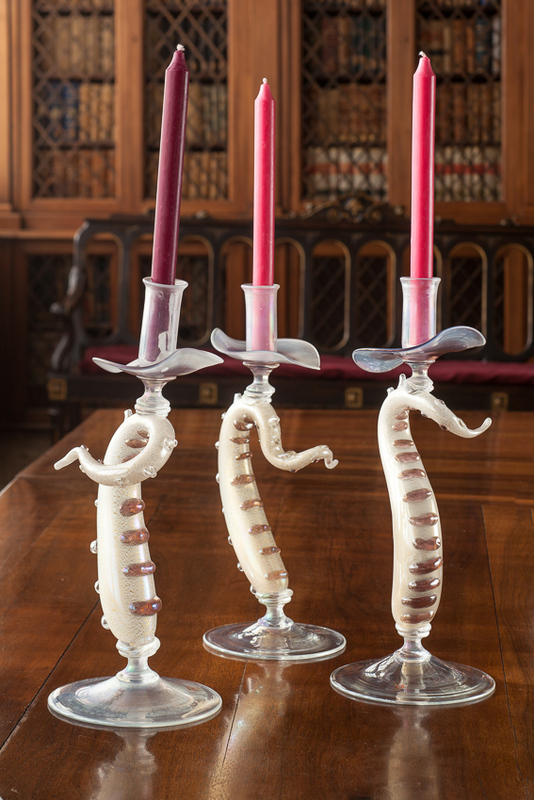 Hand blown at the Anfora Glassworks in Murano by Andrea Zilio, recipient of the 2013 Glass in Venice Prize awarded by the Istituto Veneto di Scienze, Lettere ed Arti. 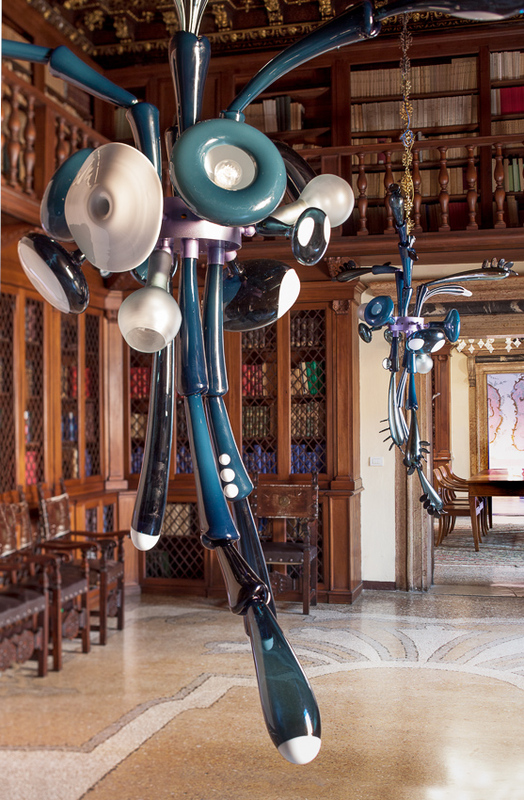 The artworks in the show were hand-crafted in Murano with the expert collaboration of Master Glass Blowers: Davide Fuin (Glass in Venice Prize, 2015), Gianni Seguso, Pino Signoretto (Glass in Venice Prize, 2012), Silvano Signoretto, Sergio Tiozzo and Andrea Zilio (Glass in Venice Prize, 2013).